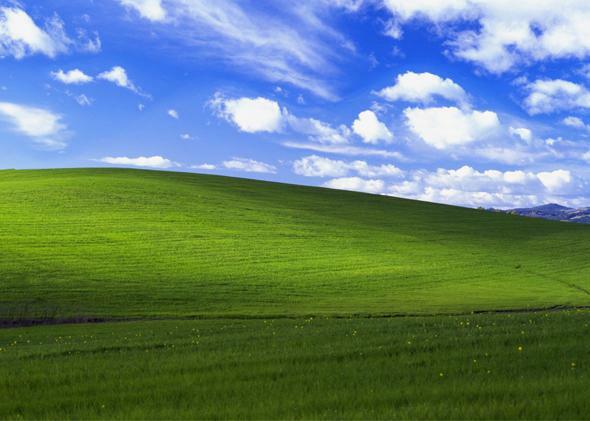 Charles O'Rear is the photographer who took the Windows XP wallpaper photo in Napa Valley. Everyone has seen the Windows XP desktop image called Bliss. It’s been ubiquitous for 13 years. And you’ve probably always thought that the serene hillside is kind of corny and probably fake. Nothing is that idyllic. But apparently it’s real! And to commemorate the end of support for Windows XP, Microsoft made a video about the photographer who took the iconic picture. There was nothing unusual. I used a film that had more brilliant colors, the Fuji Film at that time, and the lenses of the RZ67 were just remarkable. The size of the camera and film together made the difference and I think helped the Bliss photograph stand out even more. I think if I had shot it with 35 millimeter, it would not have nearly the same effect. O’Rear visits the original site, talks about the dangerous, winding roads in the area, and discusses the process he went through to sell Microsoft the photo. Even then, before anyone in the public had ever seen it, Microsoft valued it so highly that O’Rear couldn’t find a courier service willing to take the liability of transporting it. Eventually Microsoft paid for a plane ticket so he could carry the photo himself to their offices. I don’t know about you, but hearing this story makes me feel bad about assuming it was a lame Photoshopped piece of nothing all these years. Correction, April 23, 2014: This post originally stated that the Bliss photo was taken in Napa Valley. It was actually taken in southern Sonoma County.